We carry a full line of chemical specialties and additives that can help the formulator solve various issues or problems that arise such as foaming, rheology, corrosion resistance and dispersion in coatings and inks. For plastics, our specialty products can add density, thermal conductivity, flame retardancy, heat stability, elasticity, and UV protection. 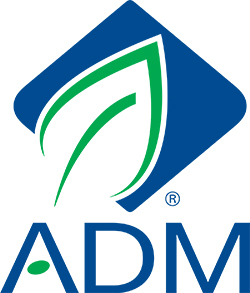 Archer Daniels Midland (ADM) processes agricultural crops into renewable products. ADM’s linseed oils, soybean oils, and copolymer oils are key components in paints and coatings, and printers’ inks and resins. Lecithin – Serves as an emulsifier to disperse pigments, and as a surfactant in industrial-based applications. Benefits include reduced mixing times, improved suspension, reduced sagging, improved brushability, and better flow. AL2Chem Specialties is a full service supplier of treated and untreated grades of amorphous fumed silica, precipitated silicas and flatting agents. Fumed Silicas – Fumed silica’s unique manufacturing process produces a very high purity type of silica with nano size primary particles, a fluffy white powder that is an amorphous and colloidal form of silica. These characteristics impart a wide range of benefits to formulations from thickening and reinforcement to free flow and anti-settling. Flatting Agents – Flatting agents are silicas designed to modify the surface characteristics of paints and coatings to reduce gloss. They are highly dispersible and provide good leveling and suspension control, particularly the wax treated grades. Precipitated Silicas – Precipitated silica is produced in a wet chemical process and the resulting amorphous products have a wide range of applications from thickening and reinforcement to free-flow and abrasion. They are highly absorptive, improve mechanical properties, and provide unique solutions for your formulating needs. Manufacturers of wax specialties for a broad field of industrial applications. Dixie Chemical manufactures high purity specialty chemicals and intermediates and anyhydride epoxy curing agents for EB and UV coatings, epoxies, Urethanes, and Textiles. Dow Construction Chemicals manufactures cellulose ethers and latex powders. 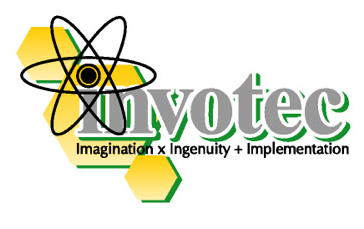 Provider of highly efficient, alkali swellable thickener/rheology modifiers. JNS-Smithchem offers its own branded products from quality suppliers. All materials are from top suppliers with proper documentation and technical support. Ultralube® – wax emulsions, dispersions and micro dispersions. Manufacturer of high quality spherical aluminum granules using environmentally friendly technology. Aluminum granules can be made to customer-specific requirements. One of the largest global suppliers of silicone products. JNS-Smithchem offers its own branded products from quality suppliers. All materials are from top suppliers with proper documentation and technical support. Most material is purchased in bulk and packaged in our New Jersey warehouse. Euroceras® – CERALENE® polyolefin waxes, synthetic waxes.